Bend It Like A Pro! 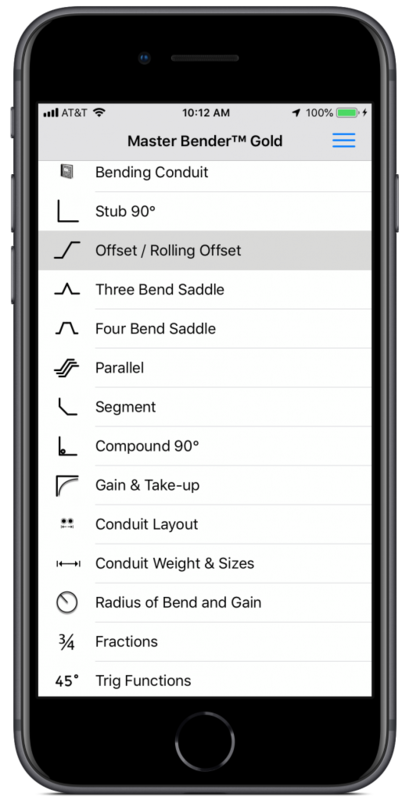 Master Bender Gold is the industry-leading app for precision conduit bending. 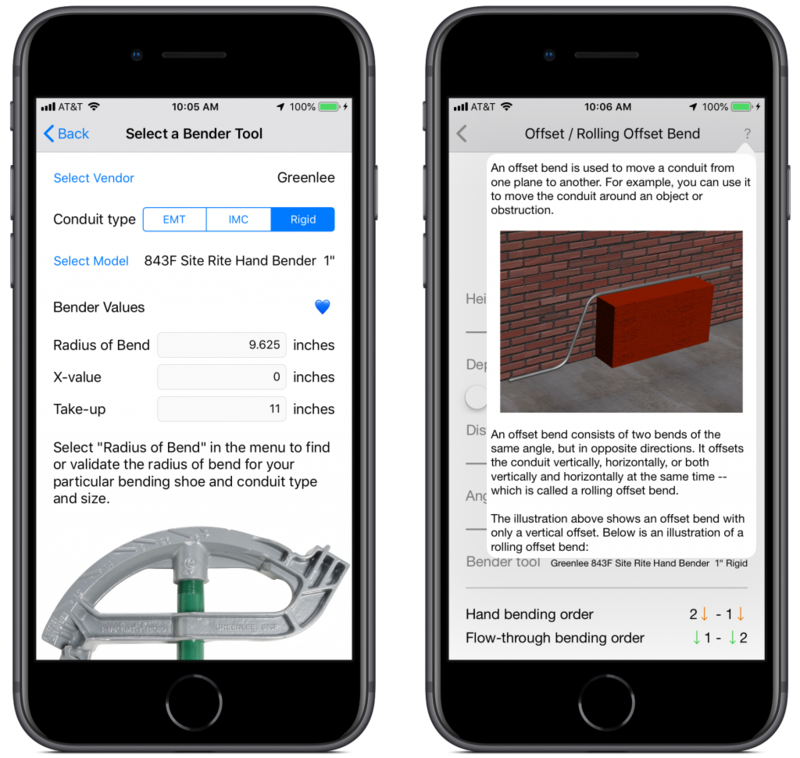 Developed in collaboration with a Master Journeyman Electrician IBEW, it is designs for field work by professional electricians, plumbers, and pipe fitters. Master Bender Gold is used throughout the United States and around the world. Master Bender Gold is independent of the NEC adoption in your area, so you can use it anytime and anywhere. 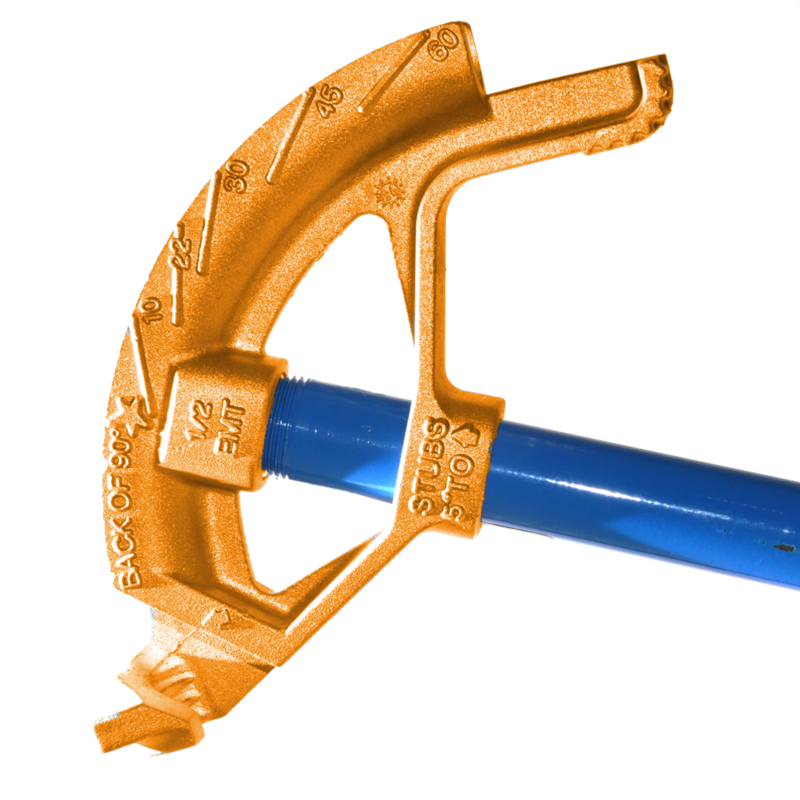 Master Bender Gold knows which bender tool you are using, so it gives you far more accurate results than is possible using the cosecant method, which is commonly used in the industry. Master Bender Gold shows you what the bend looks like in real time. 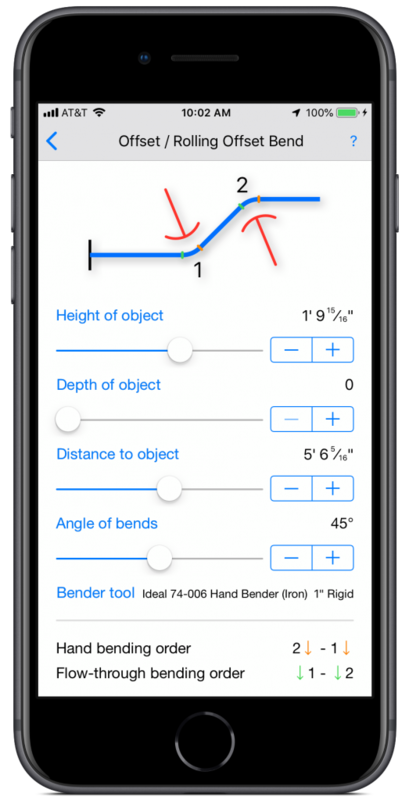 It takes the math out of bending and allows you to concentrate on the task at hand. We do the math, you bend the conduit raceways! Master Bender Gold makes you more productive, work faster, and have less waste. Master Bender Gold can pay for itself in less than 10 minutes on the job site.